This Easter quiz has multiple choice questions. How many will you get right? Looking for more Easter trivia? 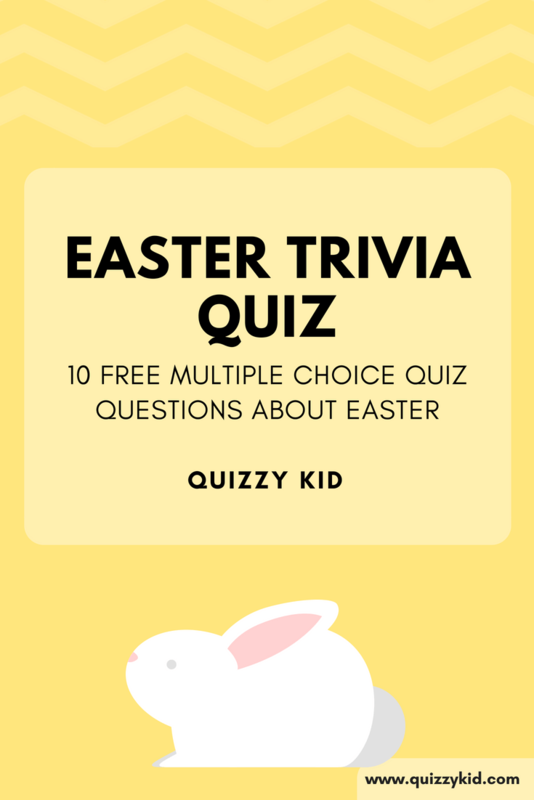 Check out our Easter page for more fun Easter quizzes. Q1. When is Easter celebrated? Q2. What is the most popular Easter activity? Q3. Where did the idea of the Easter bunny come from? Q4. How many chocolate Easter bunnies are made for easter? Q5. How many jellybeans do Americans eat at Easter? Q6. In what country is it traditional to eat hot cross buns at Easter? Q7. Which part of a chocolate bunny do most people eat first? Q8. What season is Easter celebrated in the USA? Q9. What is the most popular color for Peeps? Q10. The New York Easter Parade takes place on which famous street?